Michelle Ryland is a Licensed SE! We would like to congratulate one of our powerhouse colleagues, Michelle Ryland, for recently passing her last Structural Engineering (SE) exam. 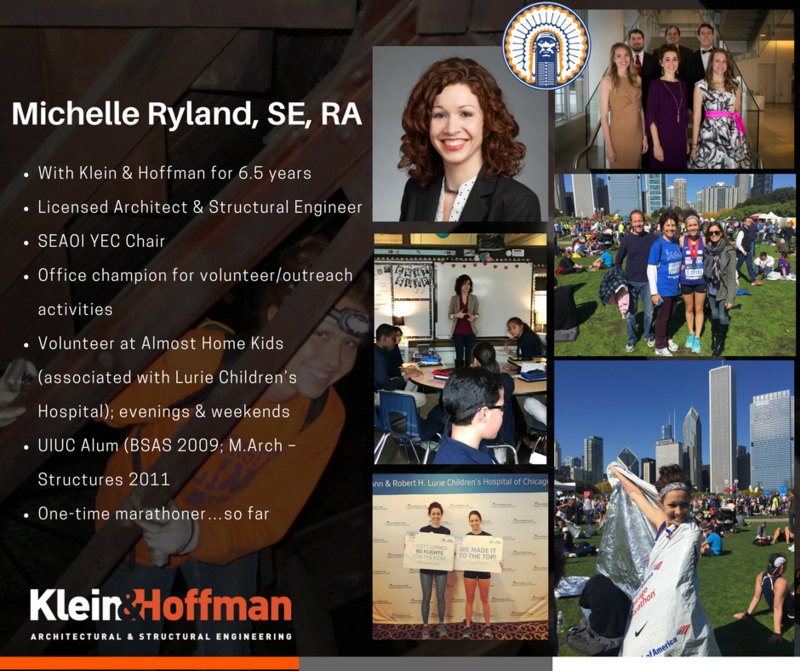 On top of becoming a licensed Structural Engineer, she is also a licensed Architect, involved with AIA Chicago, and active member of the SEAOI Structural Engineers Association of Illinois as a co-chair of the Young Engineers Committee (YEC). Did we forget to mention she is an avid runner? Under her belt she has participated in the Chicago Marathon, a handful of Chase Corporate Challenge races, 5Ks, 10Ks, and half-marathons, as well as, multiple charity stair climb races such as the Hustle Up the Hancock and the AON Step Up for Kids. K&H has one thing to say, we are beyond proud of your recent achievement and promotion, keep up the awesome work! ◀ K&H Kicks Off 2018 with New Promotions!